ONLINE BOOKING CLOSES ON FRIDAY AT 12.30PM. PLEASE ARRIVE AT 1.30PM IN SOAS MAIN BUILDING FOYER TO REGISTER AT THE JMI DESK. Join a Klezmer Kapelye (ensemble) for 3 hours of music-making with expert tuition from top traditional klezmer exponents from the UK. 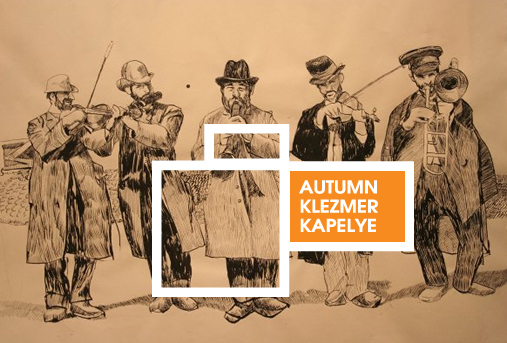 Under-16s – register and be part of the first National Klezmer Youth Kapelye, a group that we hope will continue and develop after this inaugural meeting. To participate book below and check out online or if you are bulk booking download the Registration Form and send the completed document by email to gil.karpas@jmi.org.uk and icravitz@hotmail.com and pay at the donate link underneath the bulk booking choices. Please email: gil.karpas@jmi.org.uk if you would like to ask about group booking discounts. 4.30-5.40pm Session 2 Choice (register in advance): Each tutor will teach a different tune from Session 1. Working with Ilana you’ll learn tunes including traditional klezmer rhythmic and chordal accompaniment. Standard: must be able to find named notes on the instrument and know how to play scales and arpeggios in (concert pitch) D, G, C, F, major and minor. Experience: no previous klezmer experience necessary. Learn klezmer from a band maestro, including lines and grooves. Jon will teach a tune at the pace of participants and discuss chordal and rhythmic accompaniment. 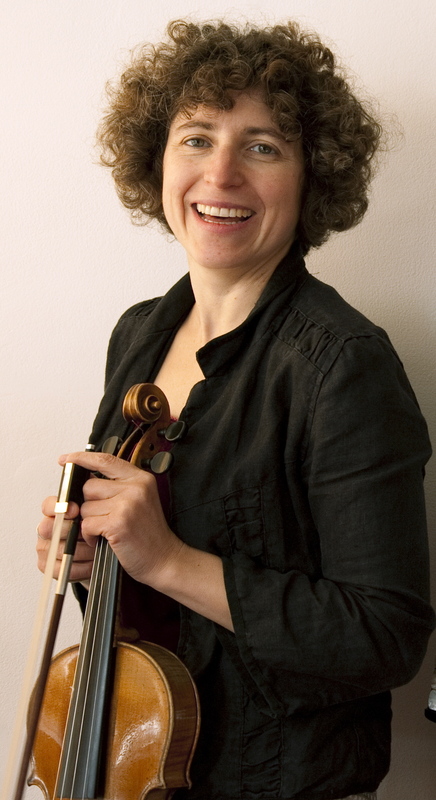 Ilana is one of a handful of professional violinists in the UK playing klezmer music in the traditional style. She has introduced thousands of people of all ages to klezmer through teaching and performances and has directed klezmer festivals and courses including KlezFest and KlezNorth, as well as being on the faculty of Yiddish Summer Weimar. Her book, ‘Klezmer Fiddle – a How-To Guide’, is published by Oxford University Press. Ilana also leads and calls for Yiddish dances and is a founder member of the London Klezmer Quartet, which has produced four well-received CDs, toured Australia five times and performed in Brazil, Germany, Holland, Latvia, New Zealand and Switzerland, as well as all over the UK. 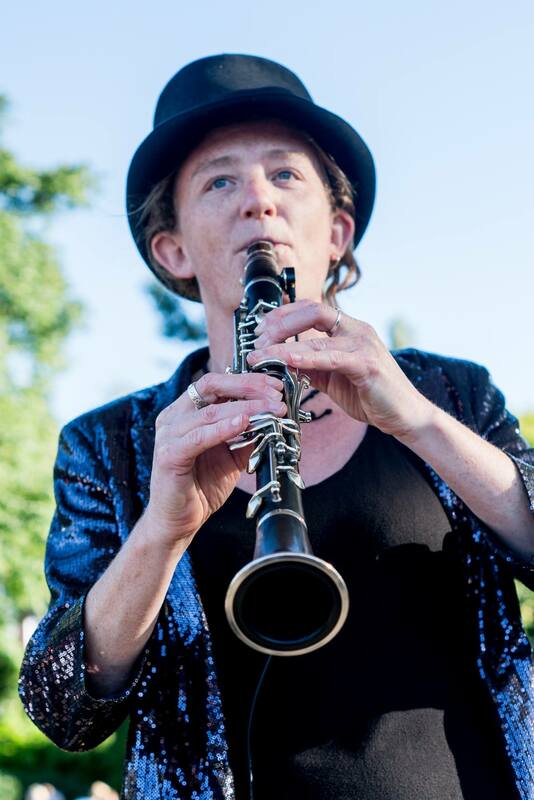 Susi “has a deep knowledge of the klezmer idiom” (Evening Standard), and her clarinet playing has inspired press reviews remarking on her “nimble solo features and excellent tone control” (The Scottish Herald), and “infectious enthusiasm” (Oxford Times). Susi is a founder member of the London Klezmer Quartet and also fronts award-winning klezmer & Balkan band She’koyokh. She was recently awarded an ARAM, an honorary degree granted by the Royal Academy of Music, from which Susi graduated with a first class degree in 2004. Having studied in Istanbul with Selim Sesler, at the Plovdiv Academy of Music with Nikola Iliev and with leaders of the klezmer revival, Susi is now in demand as a teacher herself and is a regular faculty member at Klezfest and KlezNorth, and has also been on the faculty at Yiddish Summer Weimar. 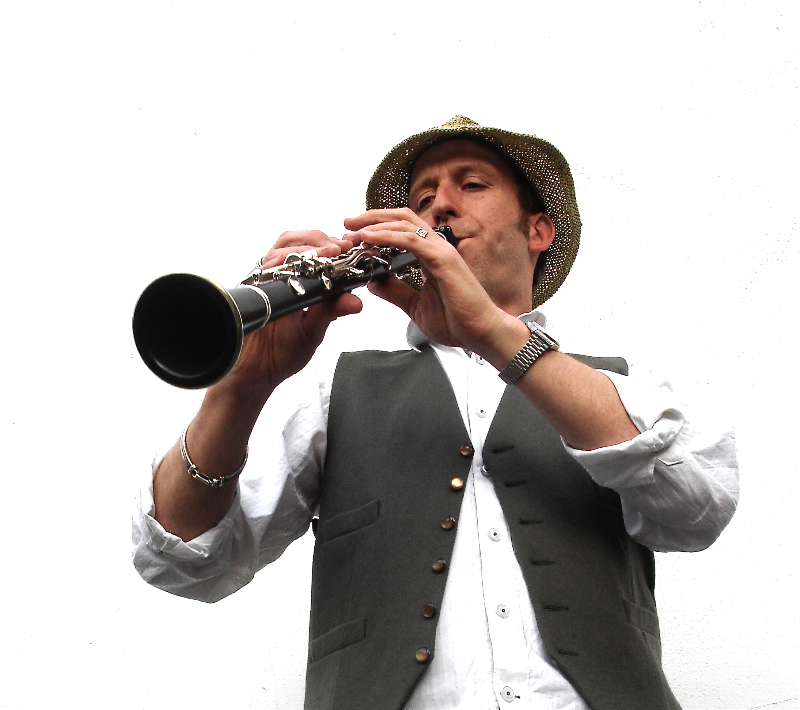 Jon has over 30 years experience as a music performer on clarinet, saxophone and flute, composer and educationalist. On leaving school he trained as a dancer with Central School of Ballet, before pursuing music as a career. Jon is a founder member of Klezmer Klub, one of the UK’s first ‘revival’ bands, and has also been a member of many bands playing in a wide range of other styles – afro, jazz, reggae, folk, indie, contemporary, and improvised. Jon is also a part-time member of staff at Queens Park Community School – a busy London comprehensive – teaching instrumental lessons, running jazz bands, choir and orchestra, and regularly staging large-scale productions. The evening Concert will take place from 6-8pm at the SOAS Bar. Radiant Others is the newest project by trombonist Dan Blacksberg, one of the acknowledged masters of klezmer trombone. Featuring a set of original music and arrangements of traditional klezmer tunes that span the history of the tradition, Radiant Others is the first klezmer album to feature the trombone as the lead instrument. Guitarist Nick Millevoi (John Zorn, Desertion Trio, Many Arms) provides the rhythmic accompaniment to Blacksberg’s horn, with a futuristic, yet danceable sound. Žika & Susi features Serbian accordion maestro Živorad Nikolic and Susi Evans, a leading Klezmer clarinetist. They meet for a musical journey through the Balkans, the place where east meets west, a source of traditional musical richness! From soulful Macedonian songs about lost youth , passionate Bosnian Sevdalinkas , mind boggling Bulgarian Racenicas and wedding dances Hora from Romania and Serbian Kolos , Žika & Susi will give you an unforgettable musical experience!